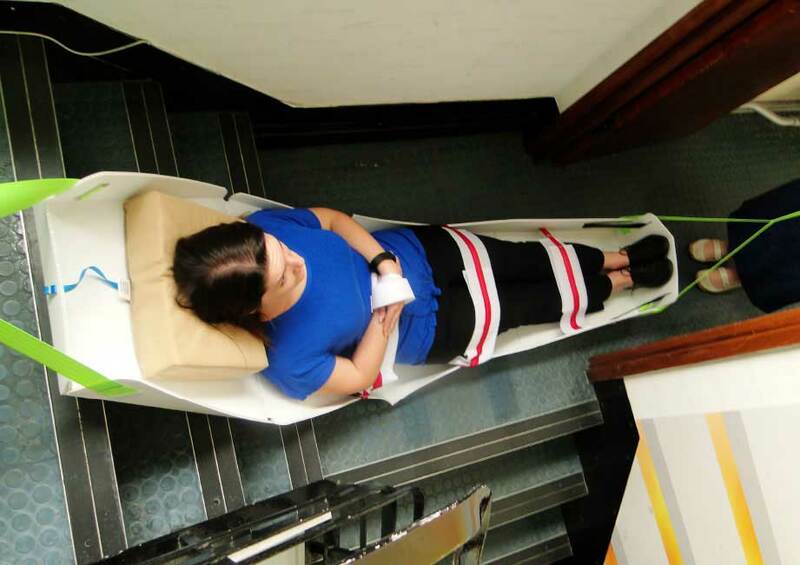 When you need a high-quality evacuation mat for your facility, choose the ResQmat®. 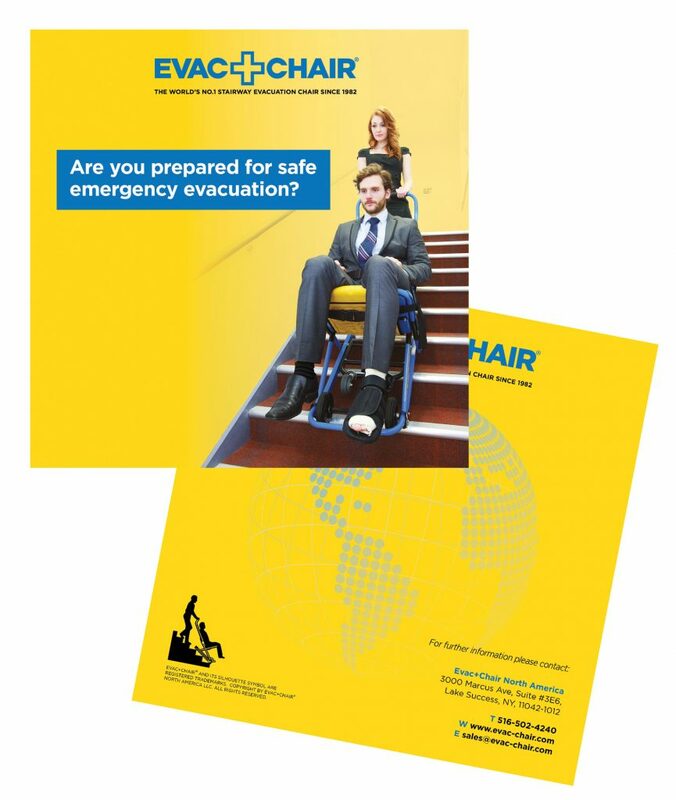 This high-performance product is the perfect solution for the swift emergency evacuation of children and adults who are mobility impaired or may not be able to go up and down the stairs. 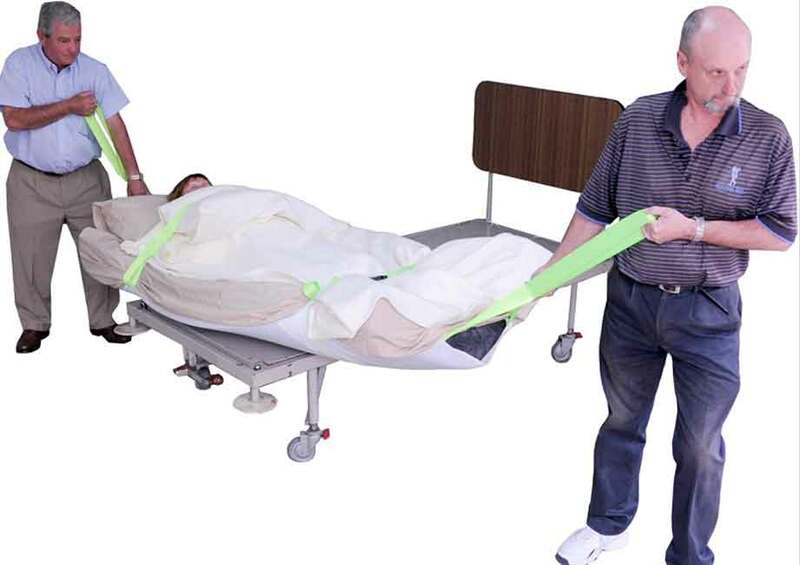 Unroll, strap, and go—it’s that simple! 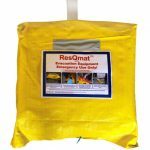 The ResQmat® is used ALL over the world in Hospitals, Nursing Homes, Schools, Retirement Homes, Assisted Living, and Ambulance Companies…. ANYWHERE! 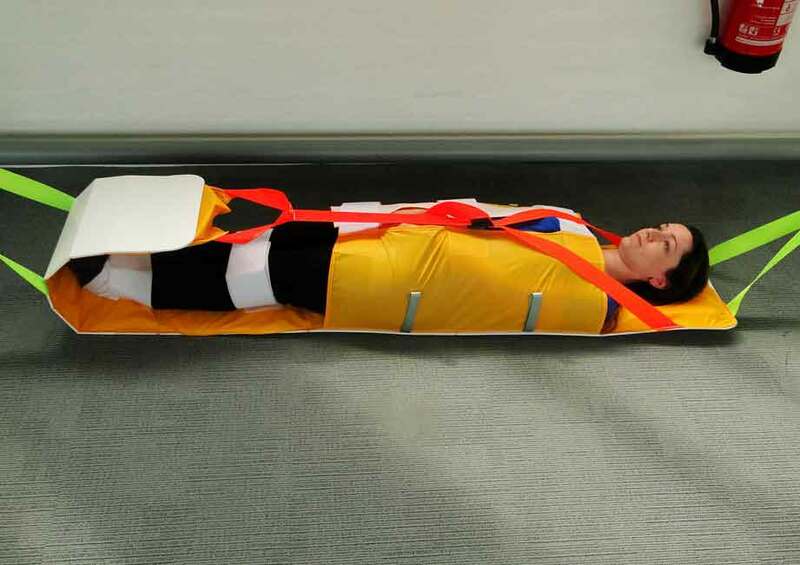 Comes with a 2 year manufacturers warranty. 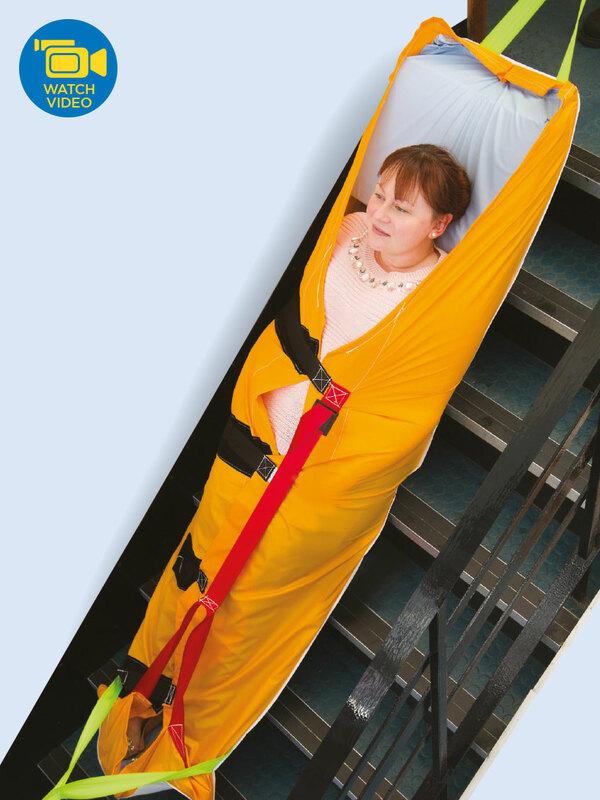 We take pride in our exceptionally made evacuation mats and are 100% dedicated to your satisfaction throughout the lifetime of our products. 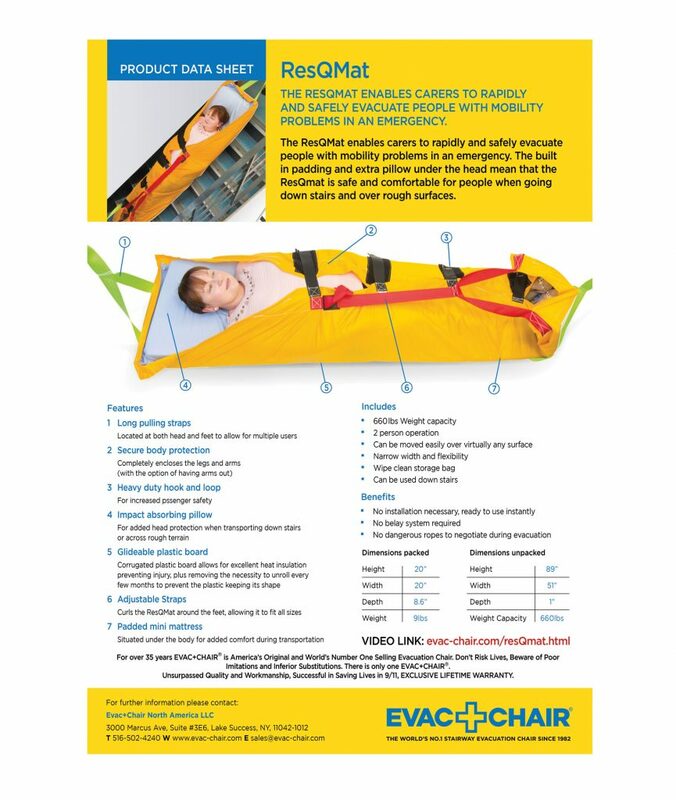 Read more about the benefits of this evacuation mat below!